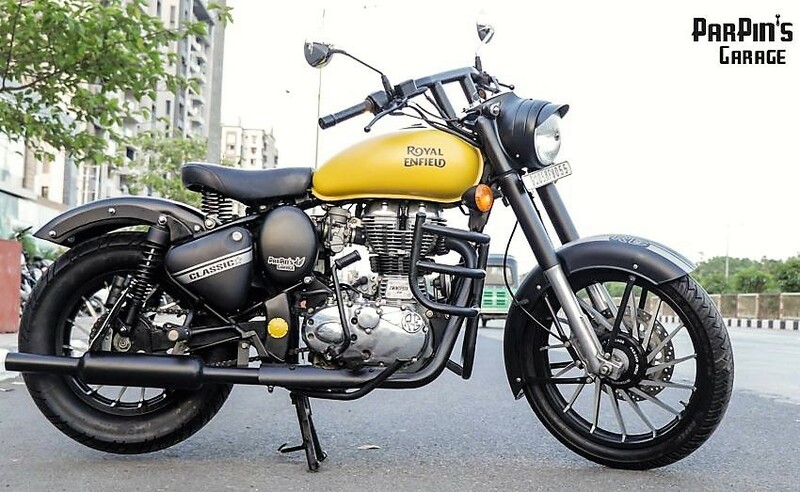 Royal Enfield Classic 350 is currently the best selling motorcycle of its class, leaving behind any other motorcycle that cross the INR 1 lakh mark. 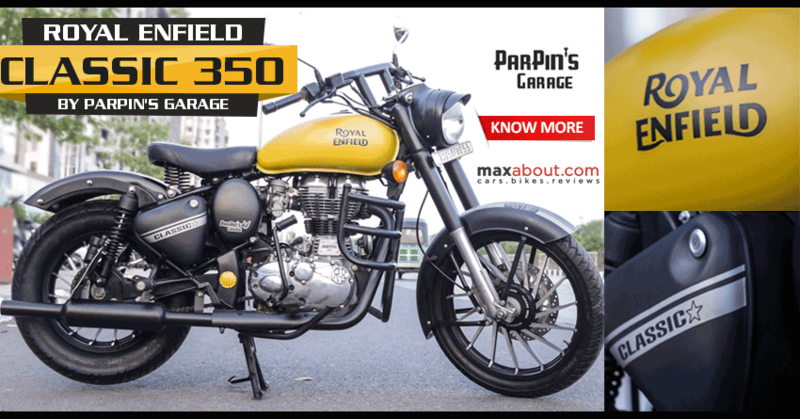 Not just that, Classic 350 costs INR 1.40 lakh and still manage to fetch more numbers than some popular sport series of motorcycles. 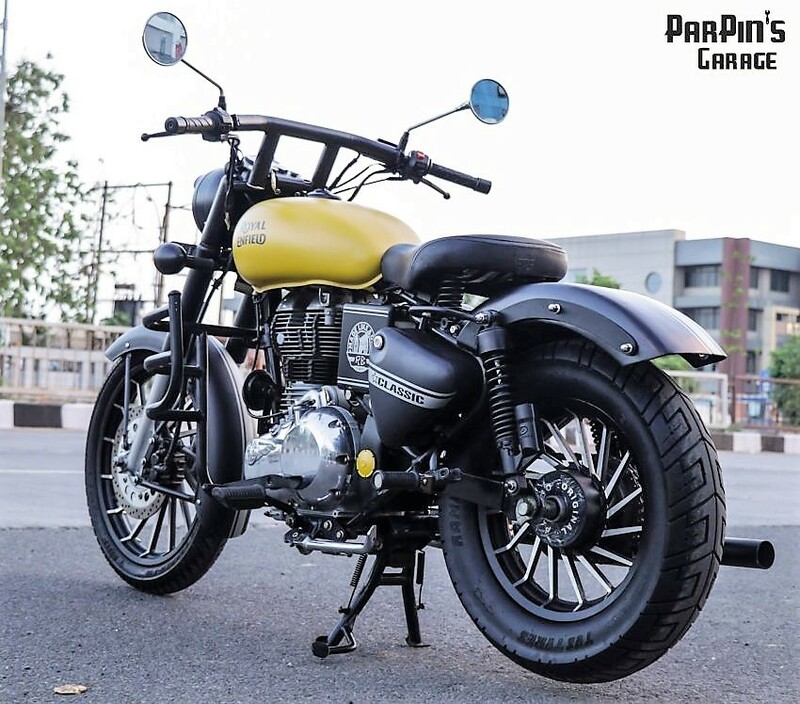 This typical Classic 350 Matte Yellow Edition is customized by ParPin’s Garage for Mr. Sachin and supports all-new Matte Yellow paint scheme on the fuel tank. Here are the list of changes that can be seen on the Classic 350. They have kept the engine bay in stock condition, leaving the engine unpainted and finishing the custom exhaust in Black. The exhaust however looks the same as stock unit but gets smaller can and bigger outlet pipe. The front gets an addition of a huge leg guard, wider handlebar and Matt Black headlight cluster. 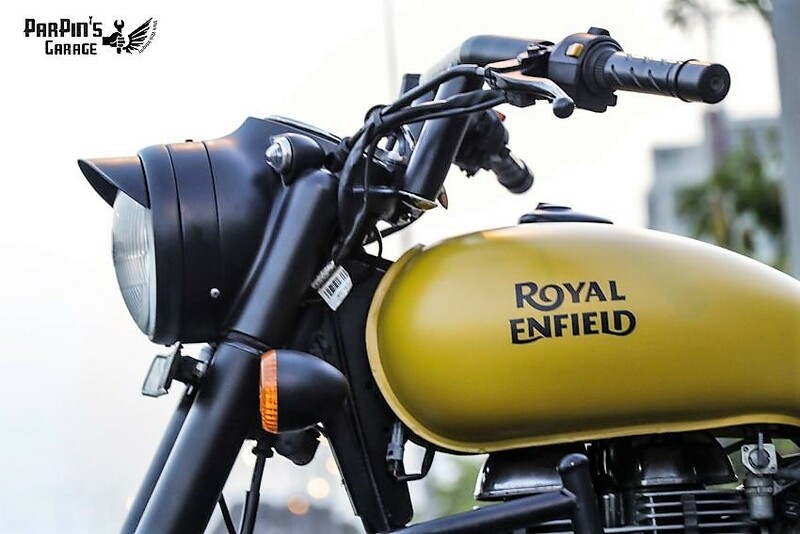 The front fork covers are even Matt Black while the fender gets Silver highlights with RE branding in the middle. Classic 350’s spoke wheels are removed for these exclusive and very attractive set of alloy wheels. The rear wheel is a smaller unit with 140 section TVS tyre while front uses the same huge rim size with MRF tyre. 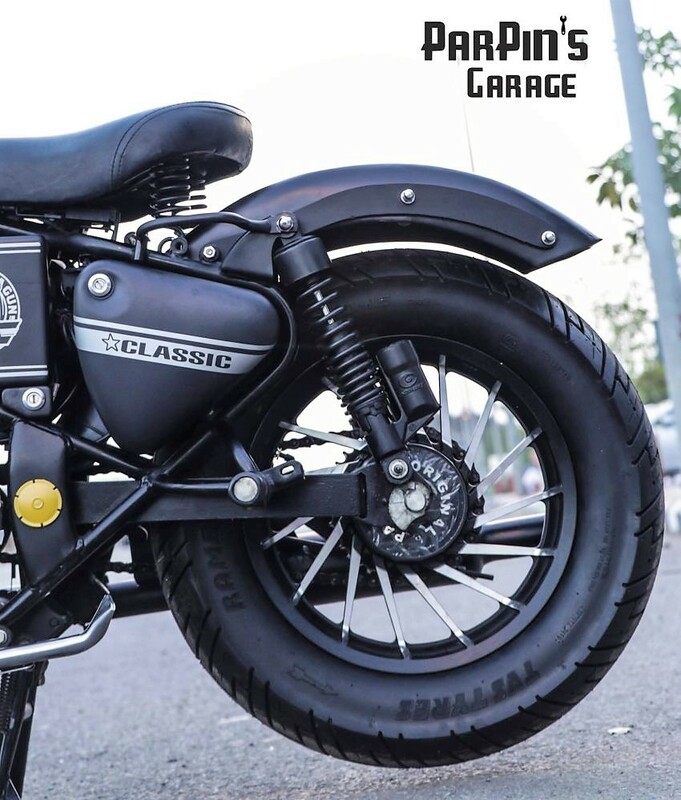 The rear end of the Classic 350 is chopped and fitted with a custom extra wide fender. 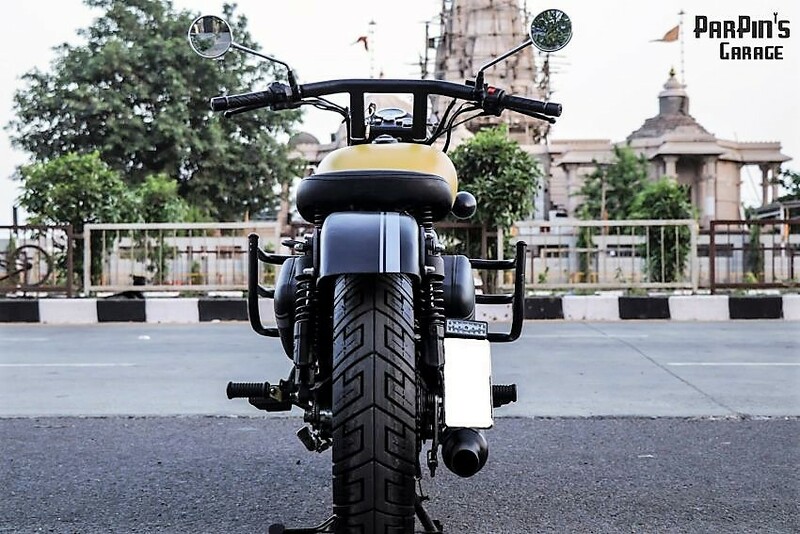 The motorcycle is now a single seater and comes filled with attitude from every angle. The round rear view mirrors were kept in stock condition. 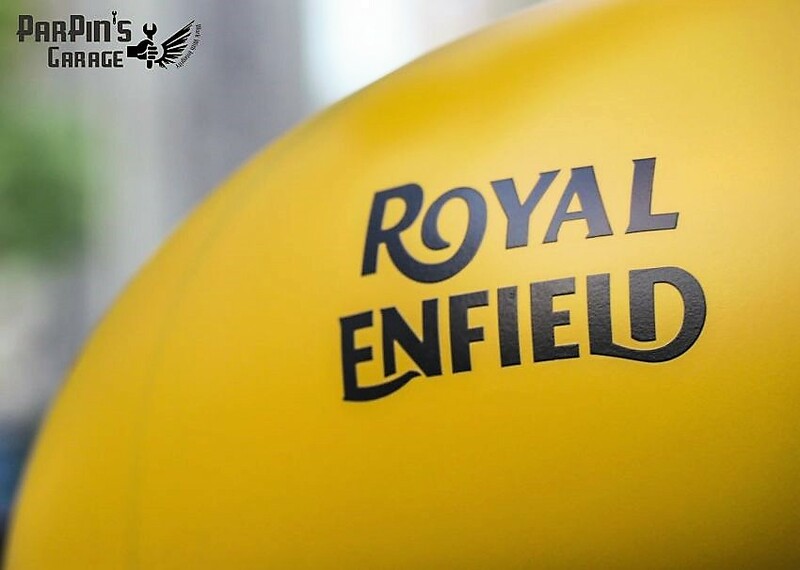 Royal Enfield Classic 350 is powered by a 346 cc, single cylinder engine producing 20 PS at 5250 rpm and 28 Nm at 4000 rpm. 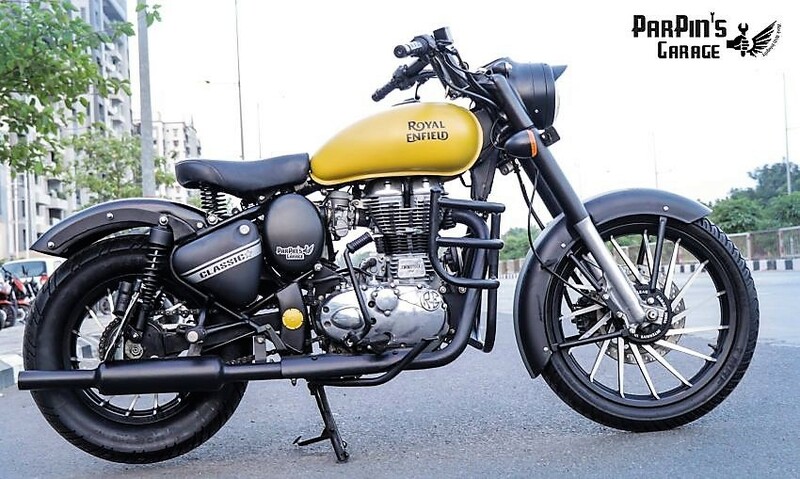 The engine comes mated to a 5-speed gearbox while the stock motorcycle claims a top speed of 110-120 kmph. It weighs quite high at 192 kg as the BS4 update added few kilograms to the bike. The motorcycle in stock condition is even offered in Redditch Edition with Red, Blue and Green fuel tank. 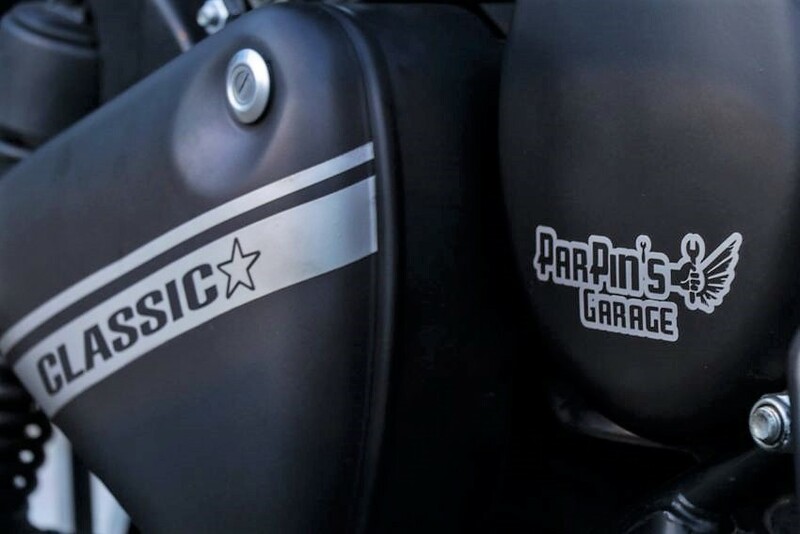 This typical Classic 350 by ParPin’s Garage looks even more unique as Yellow is not offered in Classic range.